Being an elementary school librarian has changed how I think (and feel) about books in really positive ways. During the decades that I was a children's bookseller, I had the luxury of being selective and critical with my tastes. Now, of course I am still critical and selective, but I am also more open minded in how I think about a book. 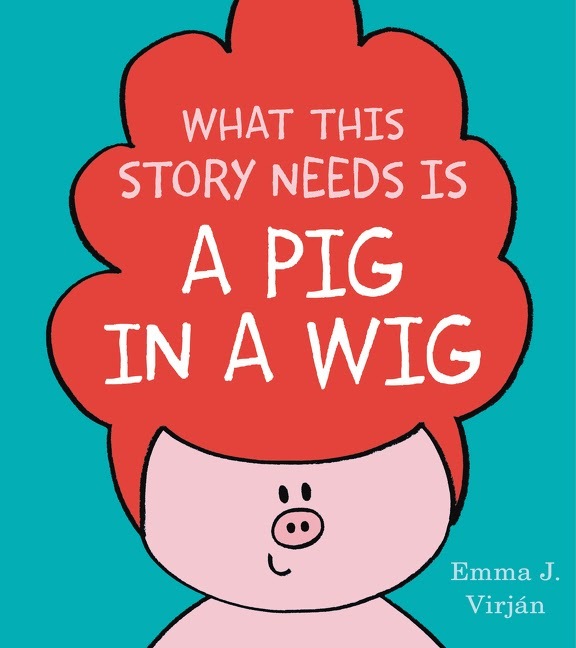 What This Book Needs is a Pig in a Wig by Emma Virján is a perfect example of this shift in my thinking. As a parent and a bookseller, I held picture books to rigorous standards. After all, if I was going to spend my hard earned money on a picture book - or handsell it to a customer - it had to be pretty darn amazing, both in story and illustration. By this criteria, What This Book Needs is a Pig in a Wig would not measure up. It is a relatively short rhyming story with basic, cartoonish illustrations. However, as a librarian, I hold books to different standards. If I am going to spend my measly, shameful budget on a book for the library, it HAS to be one that kids CAN read and one that kids WANT to read, especially when it comes to beginning readers. According to these standards, there are not enough books on the shelf like What This Book Needs is a Pig in a Wig, which calls to mind a Dr. Seuss book. Theodore Geisel was inspired to write The Cat in the Hat by a 1954 article on literacy that determined children weren't learning to read because children's books were boring. Geisel wrote The Cat in the Hat using a predetermined list of 236 words that all first graders should know and he nailed it. Yet, in many ways, save for the sainted Mo Willems and his Elephant & Piggie series that kids understandably go bananas for, books that kids are given when they are learning to read are STILL by and large very boring. What Dr. Seuss and Mo Willems have taught us, or should be teaching us, is that silly is super when kids are learning to read, and rhyming can be pretty darn helpful, too. It can be the comical, savvy kind of silly that Gerald and Piggie bring to the page or the straight up crazy rhyming nonsense that Suess dispenses. In this way, Virján and What This Book Needs is a Pig in a Wig are bringing silly - and rhyming - back to beginning readers. What This Book Needs is a Pig in a Wig begins, "What this story needs is a pig in a wig. 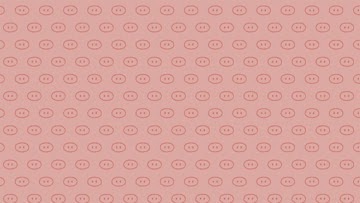 A pig in a wig, on a boat," from there the rhymes come tumbling out, naturally and humorously. And, as I discovered when reading What This Book Needs is a Pig in a Wig out loud to several kindergarden classes, the rhymes and the well-timed page turns give little readers (or listeners) the opportunity to predict what comes next. As I am learning by eavesdropping on teacher talk, making predictions when reading is HUGE for readers in all grades. The sooner kids start making predictions, the better. Another wonderful (and I suspect something that is also helpful for beginning readers) thing that happens in What This Book Needs is a Pig in a Wig is the reverse action that occurs midway through the book. The Pig in a wig fills up her boat with rhyming animals and objects then, tucked in too tight, she unpacks. What This Book Needs is a Pig in a Wig has a happy ending, though, with the Pig inviting everyone back and getting a bigger boat. I hope that this is the first in a series for Emma Virján because it is one that I would purchase in multiples for my school library!